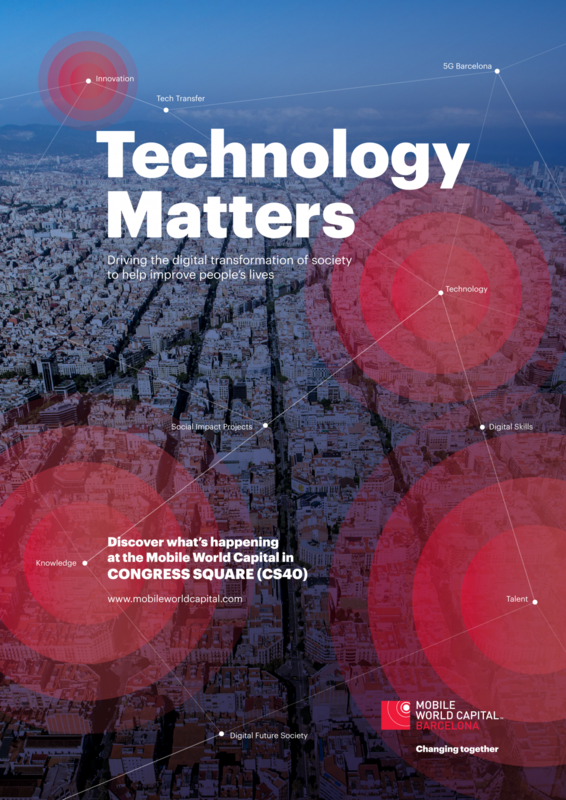 Mobile World Capital Barcelona (MWCapital) is an initiative driving the mobile and digital transformation of society while helping improve people’s lives globally. With support of the public and private sectors throughout Barcelona, Catalonia and Spain, MWCapital focuses on three areas: accelerating innovation through digital-based entrepreneurship; the digital transformation of industries; and the empowerment of new generations, professionals and citizens with digital technologies. Collectively, our programmes are positively transforming education, industry and the economy. MWCapital hosts MWC Barcelona and founded 4 Years From Now (4YFN), the startup business platform present at MWC events around the world. Visit www.mobileworldcapital.com for more information.